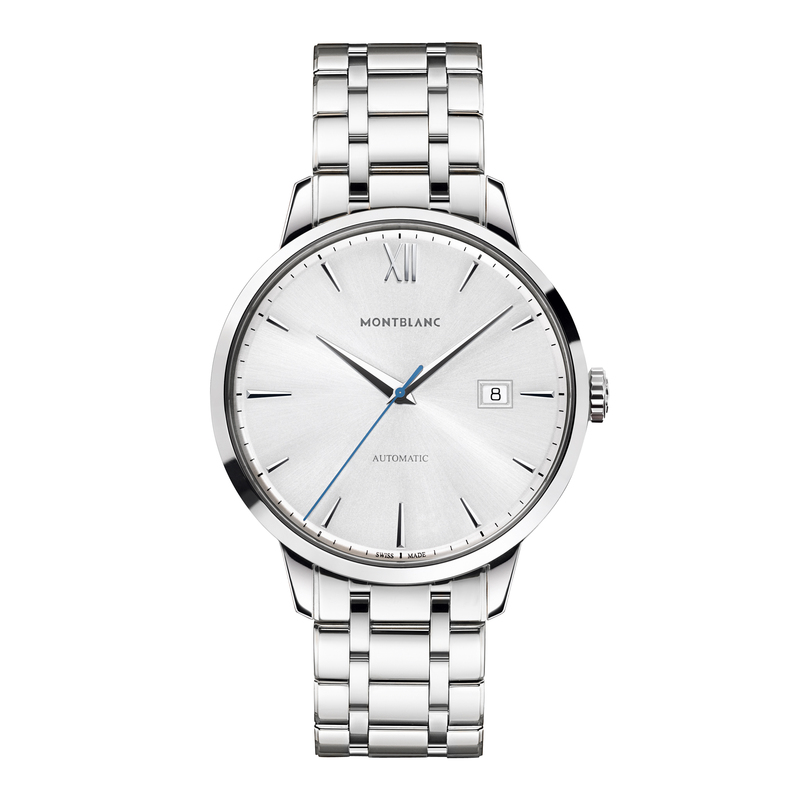 The Montblanc Heritage Spirit Date Automatic celebrates the values of the Montblanc Meisterstück. The stainless steel case holds the silvery white, sunburst finish bombé dial with rhodium plated applied indexes and the date window located at three o'clock. The movement has a power reserve of 38 hours, a stainless steel link bracelet with a triple-folding clasp adds the finishing touch.